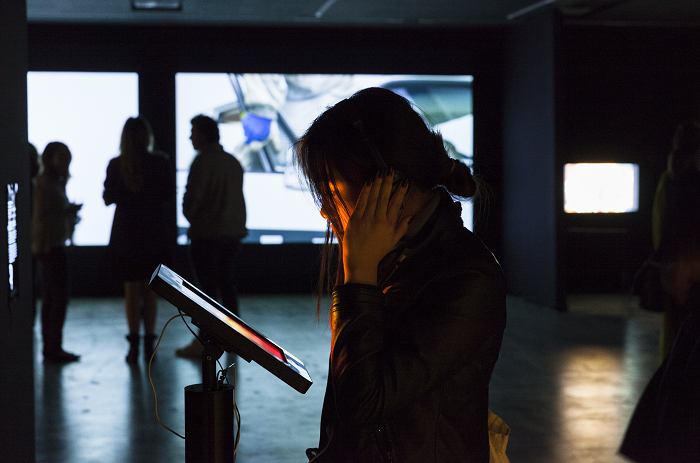 People Like Us installation view, UNSW Galleries, 2015. Image courtesy UNSW Galleries. Photography by silversalt. Museums and galleries often find it challenging to reach and engage with young adult and teenage audiences. How can you attract young people to your organisation, and more importantly how can you motivate and retain a young audience? This guide is designed to help you engage young people in your museum or gallery. The following pointers are applicable to all programs regardless of scale, from one-off artist workshops and school visits to longer engagements such as youth committees, teen nights or art shows. We recognise you may not be able to implement all of the following ideas into your programming, but even implementing just one will start to make a difference to the way young people engage with your organisation. This resource was written by freelance education writer and consultant Amy Bambach as part of Museums & Galleries of NSW’s Engaging Art initiative. Find out more about Engaging Art. Engaging Art has been assisted by the Australian Government through the Australia Council for the Arts, its arts funding and advisory body.